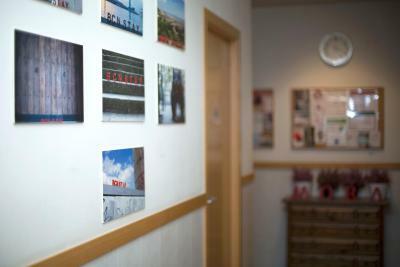 Location was perfect and so the staff in Mora Rooms! The kitchen was fantastic, everything was very clean and the staff were lovely. Absolutely amazing location!! You can walk everywhere don’t even have to use public transportation. At our time of staying Mora Rooms were full, but to my surprise it was so quiet and the bathroom availability was great. 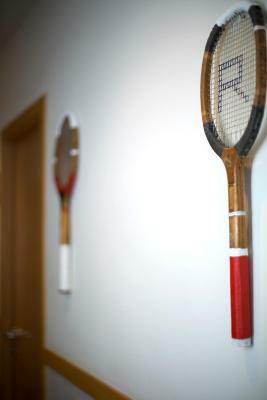 Absolutely recommend Mora Rooms and will be staying here the next time I arrive. Thank you! Room was fine, bed was comfortable and the hotel is in a really good spot for a seightseeing tour. Check-in /-out was okay. Kitchen is well equipped but kinda dirty on some places. Staff was nice. 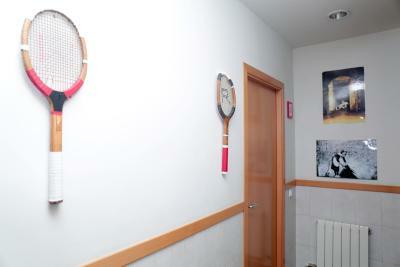 The facilities were really well equipped and clean. The cost and neighborhood were great. Towels were softer than other places. Both large and small towels were provided. Check out only required us leaving keys in the room. The refrigerator was sectioned off by room number. Location is pretty nice if you want to be around some of Gaudi’s stunning buildings like the La Pedrera or Casa Batllo. It was a more quiet neighborhood than the La Rambla area or the gothic quarters. The common area had air condition so I stayed in this area most often. 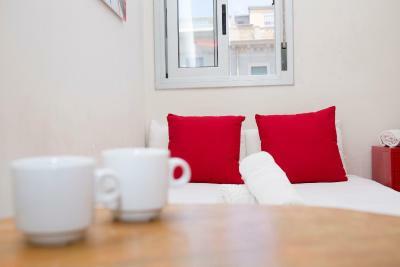 - The location was not bad, it's 3 minutes walk to diagonal metro station & it's about 3 km from plaza de Catalunya also there is a pharmacy & supermarket in front of the hostel. 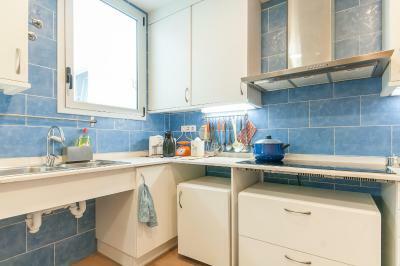 - The kitchen is equipped with everything you need. Location is perfect! Staff was really friendly and helpful. They even arranged a room for our backpacks to keep after checkout. Highly recommend! The only good thing about this hostal was the location. Facilities are good. We can cook in a great share kitchen. There are big share bathrooms also. Location is awesome. Staffs are so helpful and friendly. 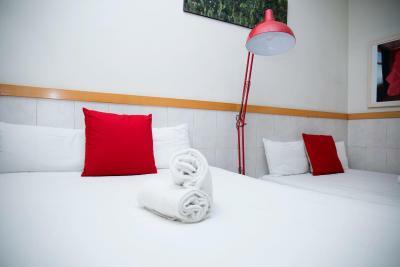 Located in the heart of Barcelona, just 350 feet from Paseo de Gracia Avenue and Diagonal Avenue, Mora Rooms guest house offers free Wi-Fi. Barcelona’s La Rambla is a 20-minute walk away. Bright rooms at this property come with heating and a big window. 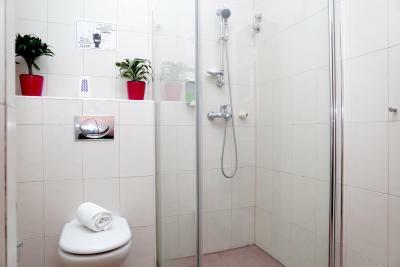 Guests have access to a shared bathroom and kitchen. 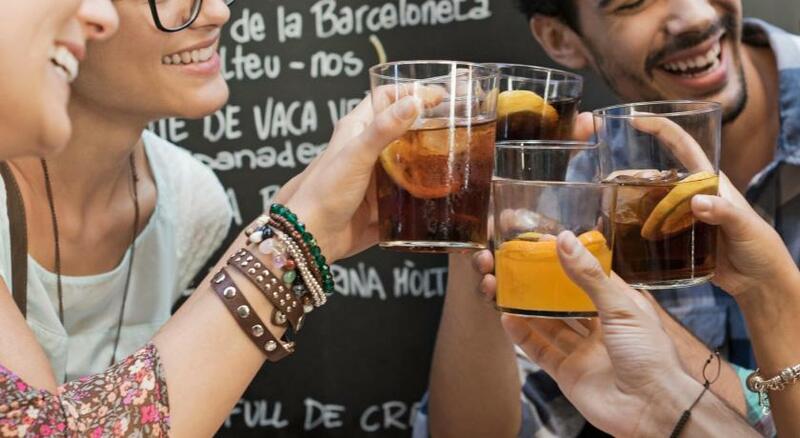 Centrally located you will find many bars, restaurants and supermarkets in the surrounding streets. The charming Gracia District is 1.2 mi away. Diagonal Metro Station is 1,000 feet from Mora Rooms and a 20-minute walk will take you to Sagrada Familia. 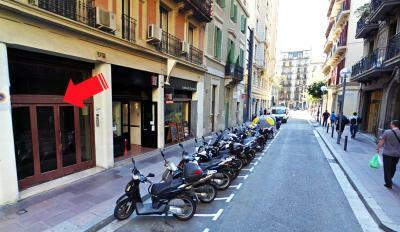 Sants Train Station, with direct trains to the Airport, is a 15-minute metro ride away. 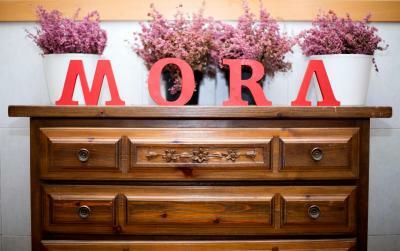 When would you like to stay at Mora Rooms? This room comes with a double bed, wardrobe, fan and heating. There is free Wi-Fi. 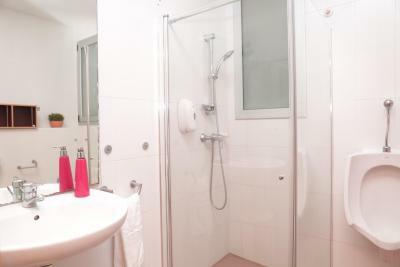 Guests staying in this room have access to a shared bathroom and kitchen. 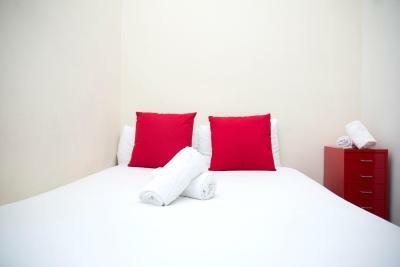 This small double room comes with a wardrobe. House Rules Mora Rooms takes special requests – add in the next step! 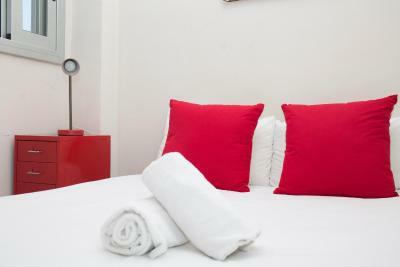 Mora Rooms accepts these cards and reserves the right to temporarily hold an amount prior to arrival. - From 00:00 to 02:00 EUR 20. The property is located on the 2nd floor in a building with no elevator. Please inform Mora Rooms of your expected arrival time in advance. You can use the Special Requests box when booking, or contact the property directly using the contact details in your confirmation. Room is small, walls are thin, you hear everybody around. Staff is welcoming and friendly. The kitchen is well-equipped, you'll find everything you need there. The location is great, just near the metro and buses station, also there are many bars and restaurants around. We didn´t have much privacy. The room would have needed some fresher painting and a mirror would be a plus (as there are only mirrors in the two shared bathrooms, so nobody can pee while you are making up!). The bathroom sink leaked. VERY noisy, would be good to put something on the doors so they dont slam each time someone closes them, and maybe actually have staff and people respect the quiet time after 22h. Very helpful staff. 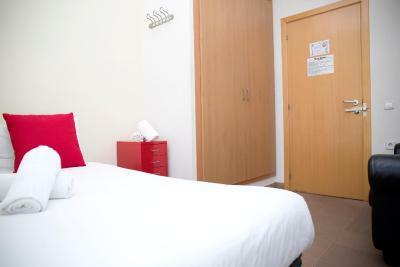 Nice shared facilities (especially the kitchen well equipped and the living room, cozy). Very good location, close to bus and metro. The room was very small. The hostel is not easy to find (no signals outside the building). Walls are very thin, you hear everything. There is a kitchen where each host has his own space for storage (in the fridge as well) and plates, pans, cups can be freely used. The place is provided also with stuff for ironing and cleaning and with a hairdryer. 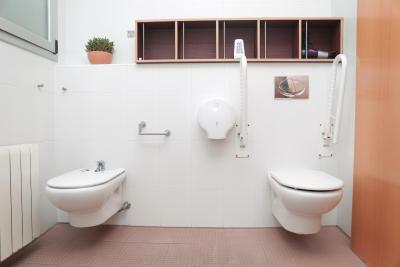 The 2 bathrooms appeared to be clean and tidy. The staff (a woman) kindly showed us all the facilities. The shower wasn’t very hot and the bed was squeaky, but we expected nothing more for the price. We also had some trouble finding it. The only thing, would be great to have a mirror in the room, so you don’t have to occupy the bathroom to do make up and use the mirror. Otherwise for the price you pay its absolutely amazing! Phone number on Booking is not working so we had problem contact landlord. We were lucky that we met two boys from apartments and they allowed us to go inside and see right numbers. I said that to landlord so I am sure it will be changed and checkin for others will be easier. We also were waiting two times more than was agreed but after that went everything smoothly. I would recommend you sleep with headphones or with earpluges because walls are too thin and you will be wake up by others. I would not recommend double bed for friends. When one from two will move, you will move as well. So quality of sleeping was for me personally lower. Very good location. Metro station only 270 m. Super clean and service like shampoo, shower gel and others. Good option for breakfast/brunch on the corner of the street. Room was really cold, even with the extra electrical radiator. That's one thing that there is a washing machine but the sponge in the kitchen for cleaning the dishes was disgusting, we rather cleaned it with bare hands and the cleaning gel. The trash could be taken down more frequently from the kitchen, someone cooked fish and calms on 1 day, and it got really smelly on the next day. There is too few shower and WC for this much people. 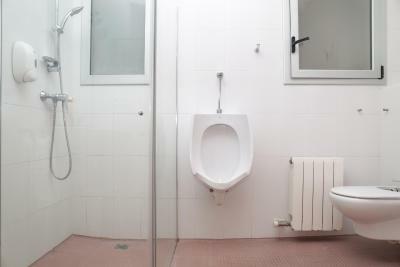 9 rooms, with 2 or more people and there is only 2 shower and WC (the showers and WCs were in the same area). At least there could be mirrors in the rooms, can you imagine if there are like 3-4 group of girls? Well I have not had to imagine. Absolutely no sound insulation. If in the next room someone snores or sneezes to say that it's happening in your room. To sleep you need to be very tired or buy earrings. The location is good. 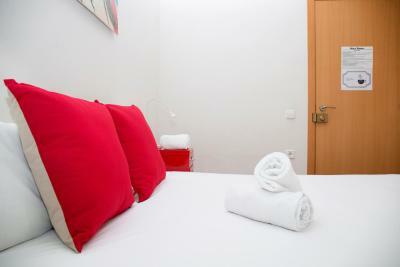 Not far away for subway station, 20 minutes walk to Sagrada Familia or city center. 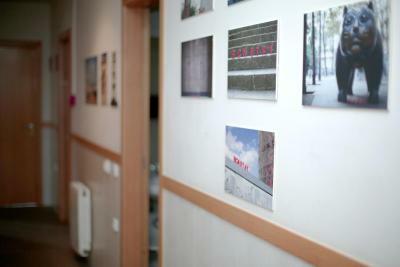 - Good location - close to metro, bus stops, shops. - Comfortable beds. - Two public bathrooms - no queue. - Nice owner and gentleman who handed the keys. - Good price for the conditions. 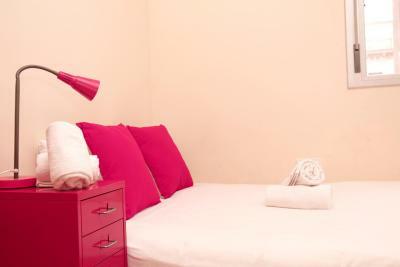 The bed is super big and comfortable, warm enough for those who go in the winter time, plus there's heater in the room. The workers are really nice, always willing to help. The comon spaces were super clean, as well as the bedroom. 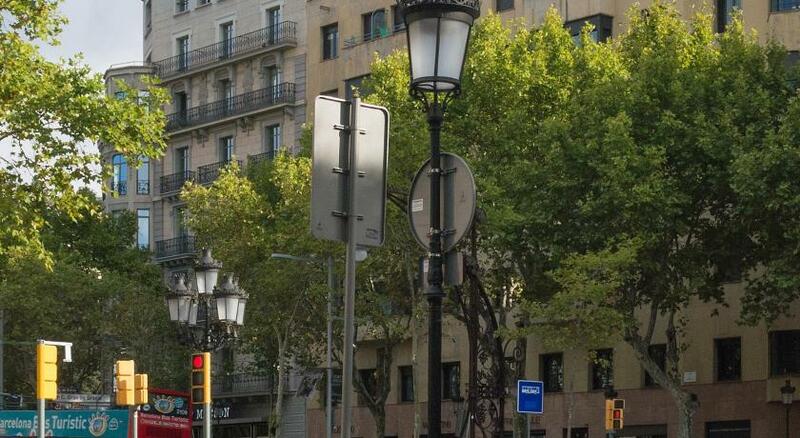 The neighbourhood is really nice and quite, there's supeemarkets nearby and to the centre its just going down the avenue, is a long one (with casa de Bateló and Lá Pedrera on the way) but in 15 minuts walking you arrive to Plaza de Catalunha.